Kick off the season with a new Freelander motorhome! Click here! RVs are your home away from home. But even in the most luxurious RV, you need to downsize your life to make it all fit. This is especially true for small RV living. When you want to make every square foot count, it’s important to take stock of your equipment and clothing to only bring what’s necessary. The most important rule to enjoy any RV trip is “stay safe.” Like your home, being safe begins with a plan. While RV fires are unlikely in a well-maintained camper, any motor vehicle or electrical appliance has the potential to start one. If you want to relax on your trips, make sure to practice proper RV fire safety so you don’t have to worry about it. 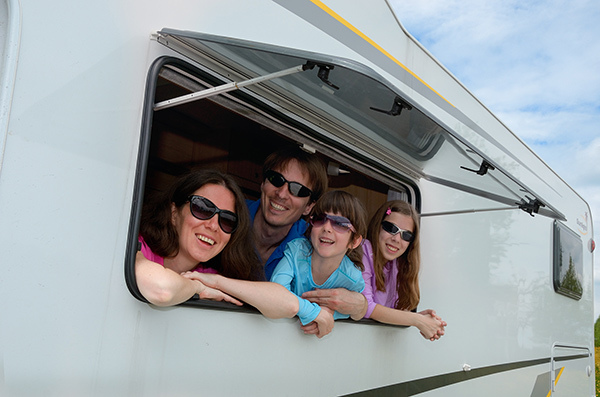 Read below to find tips to keep you and your RV safe from any potential fire hazards. The freedom of the road isn’t always as “free” as you might hope. Campsites have costs, gasoline prices are all over the place and restaurants get more expensive every year. The cost of RV travel can be a roadblock for frugal adventurers – but it doesn’t have to be. 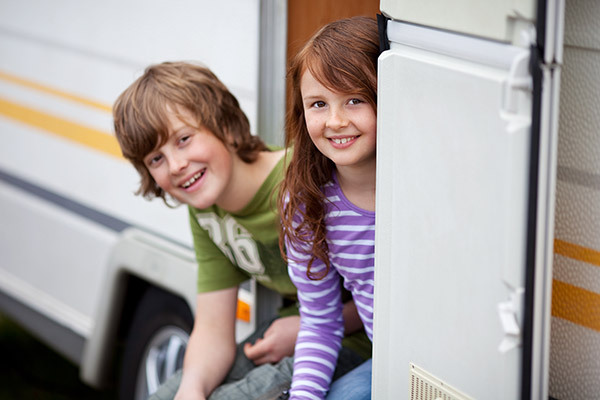 RV traveling on a budget is possible, it just requires skillful planning. Read on to find out how you can hit the road without needing to smash open your piggy bank. Traveling in an RV is a unique experience that can change you for a lifetime. As you take more trips and travel farther from home, you may begin to wonder: should we even go back? Becoming a full-time RV family has its benefits, but the risks can keep you from making the leap. We spoke to a full-time RV family to learn more about this massive lifestyle change and tips they have for how you can help plan your journey. Adventure means you should enjoy the journey as much as the destination. When you plan your next big RV trip, don’t forget to set aside some time to take in the attractions along the way. Ohio has some incredible stops that can make your trip memorable – if you know where to find them. 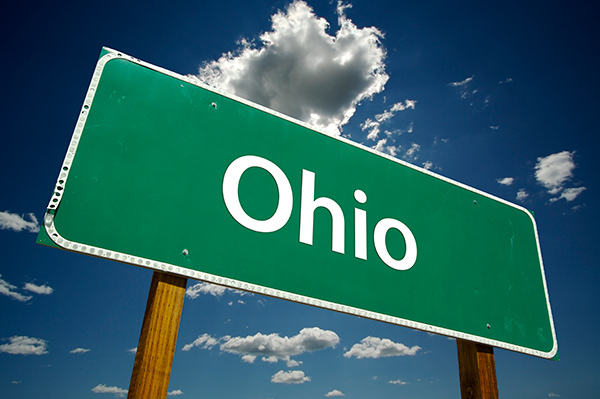 Learn about these cool, interesting or downright unusual roadside attractions in Ohio to help you plan your next vacation! 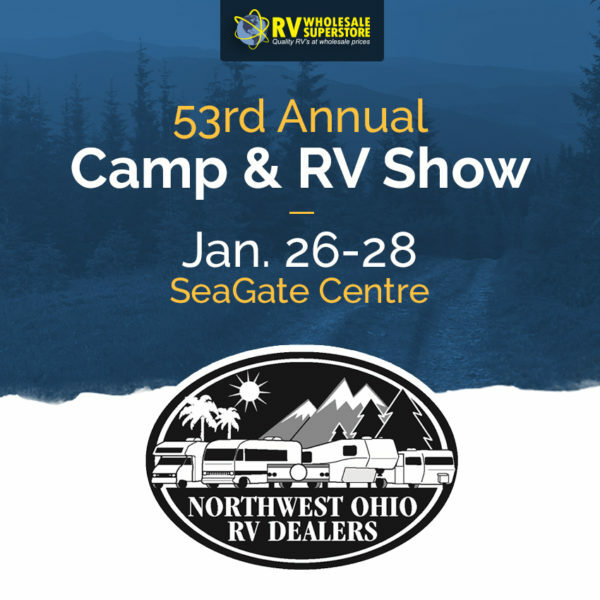 Browse more than 100 RVs from top manufacturers, presented by Northwest Ohio RV Dealers at “The Big Show.” There will be aisles and aisles of vendors and exhibitors that carry everything from RVs to RV accessories and campgrounds. Join us for the 53rd Annual Camp & Travel Show at the SeaGate Centre (401 Jefferson Ave.) in downtown Toledo, OH. See what’s new in the 2018 line-up and get the RV you’ve had your eye on at low show prices! 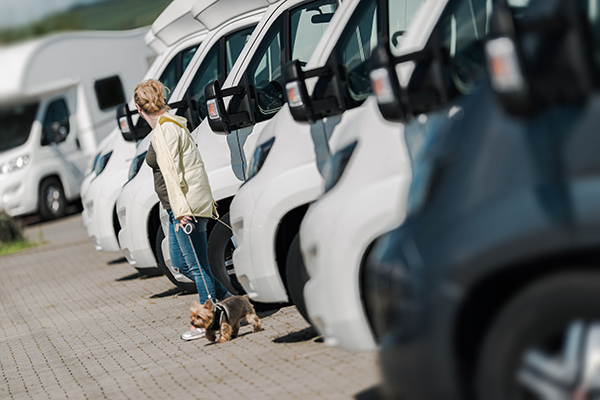 Whether you’re looking for a luxurious RV or a smaller RV for traveling light, you’ll be able to find a model that’s right for you. Come see us at the show! Visit nwohiorvdealers.com for a $1 off coupon, good one per customer. You can also follow Northwest Ohio RV Dealers on Facebook for news and updates about the show. There are plenty of 2018 RV shows to visit, but if you want to beat the rush for the upcoming camping season, the professionals at RV Wholesale Superstore are ready to help. Visit us in-person at 5080 W. Alexis Road, in Sylvania, OH or call us at (855) 629 3326. The holidays are almost here! That means a home filled with friends and family. If you’ll be housing guests for a few days, you may be panicking to figure out where they can all stay. For some, it would mean a night or two out on the couch. But you thought of a better idea: creating your very own RV guest house. Before you get started, read our tips to make your RV guest house as comfortable as any room in your home! Once you take that first big RV trip, you’re hooked for life. The call of the wild, fresh air and freedom that the RV life provides can be hard to ignore. While many RV owners stick to being weekend warriors, others start to wonder if they can transition from part-time RV campers to a full-time RV lifestyle. The differences between part-time and full-time RVing are significant. Learn what it takes to become a full-time RV family.